We got an awesome email today from Quit Dad – a father of three in Holly Springs, North Carolina. He's just what he claims to be – a dad who loves to sew and quilt. He has a blog, and it is hilarious and great – he does some great work and talks about dad stuff from time to time, we loved it! 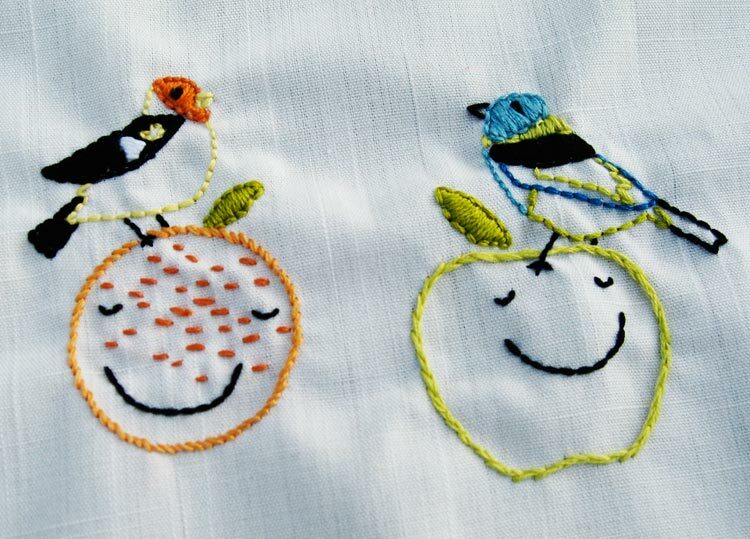 Anyway, Quilt Dad made some needlework our of our tanager bird series! 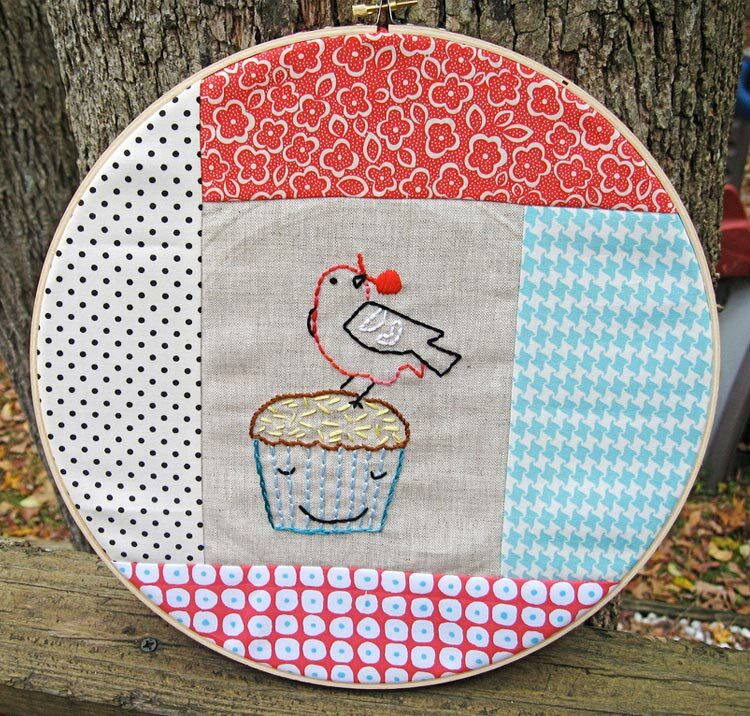 He stitched two on an apron, and one in a quilt square (we think). Thanks for the email and glad you like our work – keep up the good stuff, Quilt Dad!